In the 1916 commemorations, women are celebrated as the forgotten heroes of 1916. But there is another hidden history and it concerns women who loved women. RTE's flagship 1916 drama, Rebellion, has its female leads in thrall to men. Some of the most radical relationships to emerge from that period were between women. Kathleen Lynn, medical doctor and captain of the Irish Citizens Army, fought alongside Madeleine ffrench-Mullen during Easter week. They shared a prison cell when they were caught and lived together for decades afterwards. 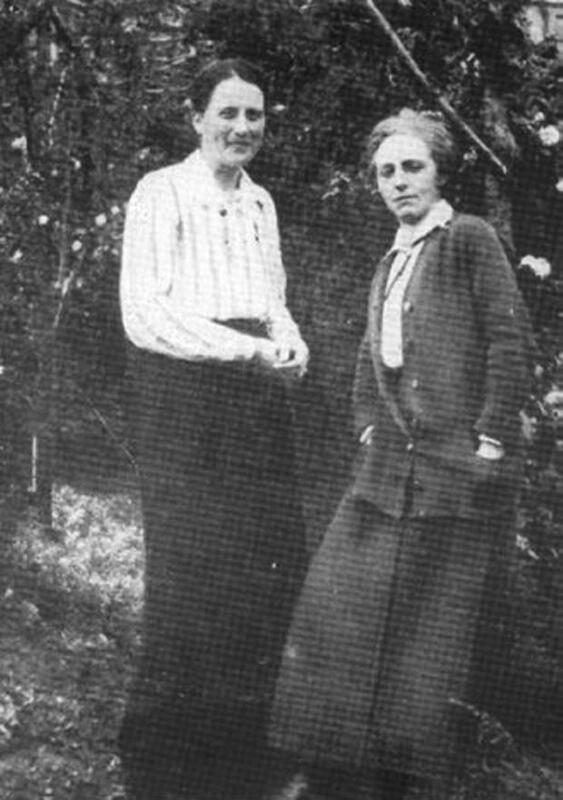 Elizabeth O'Farrell and the woman considered to be her life partner, Julia Glenon, tended to the wounded on Moore Street as Padraig Pearse contemplated surrender. The women are interred together in the same grave in Glasnevin Cemetery. Years later, O'Farrell's feet were famously doctored out of a photograph capturing Pearse's capitulation, "proof" of women's airbrushing from history. They were radical women. The discreet veil drawn over their relationships conceals just how radical they were. Mary McAuliffe, a historian at University College Dublin, says the role of lesbians during that period is "a hidden history". Like all hidden histories, it needs to be told. "The story is about radical women making radical choices not just about politics, but about their personal lives," she said. "They shared their lives with women, they fought, they lived with, they worked with their life partners." McAuliffe is writing a book on 77 women of the Rising to be launched on International Women's Day: "The more research I do, the more I am finding a significant minority of women who were making radical life choices, about being out there, being rebels, being social achievers. This is only the beginning." Lynn and ffrench-Mullen were in their 30s when they met. She was the daughter of a Protestant clergyman and was a fellow at the Royal College of Surgeons when she became interested in suffrage and the "national movement". Madeleine ffrench-Mullen was born in Malta to a Royal Navy surgeon. By the time she met Kathleen Lynn, she was a suffragist, a veteran of Maud Gonne's Inghinidhe na hEireann, and worked the soup kitchens in the 1913 lock-out. In her account of the Rising years later, Lynn described their meeting: "After the Citizen Army was founded in 1913, I attended Liberty Hall and gave lectures in first aid and I also lectured to Cumann na mBan in 6 Harcourt St after its establishment. It was there I met Ms ffrench-Mullen, who became my closest friend. She lived with me for 30 years - until her death. She and I, with the help of others - mostly republicans - founded St Ultan's Hospital - Teach Ultain - for infants in 1919." Imprisoned in Kilmainham after the Rising, Madeleine wrote in her diary how they agreed that "as long as we are left together, prison was somewhat bearable". They were later transferred to separate cells. They worked together long after independence was achieved, at St Ultan's, the infants' hospital they founded, and lived together at Lynn's house in Belgrave Road, Rathmines. There is unsurprisingly no historical record to prove that Lynn and ffrench-Mullen were lovers or that Elizabeth O'Farrell and Julia Glenon were. Such things were rarely committed to paper and to be homosexual at that time was criminal, at least for men. Several women historians have found that the love is there, in the diaries of Kathleen Lynn and in the memories of their friends, such as one who recalled that "they had no use at all for men". According to McAuliffe, Lynn's diaries are full of their "close connection" and their love for one another. "They talked about going in for an early morning swim, and then going back to bed afterwards to keep each other warm." After Madeleine's death, Lynn writes at length about the "loss of her friend and partner". More than a decade ago, Dr Katherine O'Donnell, director of the Women's Studies Centre in UCD, wrote that "20-century Ireland owes a lot to Irish lesbians", particularly the network of Dublin lesbians at that time. She included Lynn and ffrench-Mullen, suffragists and revolutionaries; Helela Moloney, a former Abbey actress and rebel who also turned out for the Rising; and Julia Glenon and Elizabeth O'Farrell. The latter were both nurses, they knew each other from their youth. They were among three women whom Pearse chose to stay behind with the leaders as the GPO fell in the last days and hours of rebellion. Their gravestone was inscribed on Elizabeth's instructions and describes Julia as "her faithful comrade and lifelong friend".